Those in the market for a new Mid 2017 12-inch MacBook can exclusively save $50 on every configuration at Adorama with coupon code APINSIDER. This bonus discount is on top of Adorama's already reduced pricing, making the total savings $70 off MSRP. Adorama also will not collect sales tax on orders shipped outside NY and NJ -- another $174 to $220 in savings for many shoppers compared to paying full price with tax at the Apple Store. To redeem the coupon, please see the step-by-step instructions below. And for a full list of deals, please visit our 12-inch MacBook Price Guide. The comparison the review makes to the non-Touch Bar MBP is slightly inaccurate imo. Users who want the extra performance for more intensive tasks (video editing, intensive gaming) should indeed go for the Pro. But if that's the goal, it's gonna cost you quite a bit. You'd have to upgrade the poor 128GB storage to at least 256GB, the 8GB SSD to 16GB, and probably the CPU as well since 2.3 i5 won't get you far. The total for such a machine is $2,000. Honestly it seems like people (and reviewers) still can't rid themselves of the bad impressions the underpowered 2015-MacBook has made. A shame really, cause it's a fantastic machine. While it is comparable to the MBP cost wise, it can't compete on performance or capacity. But, when compared to an IPad Pro its only serious advantage is its touchpad. It appears to me that Apple will end up with two primary lines: with and without fans. p.s. Also, the lightening port must eventually progress to become a USB-C port. 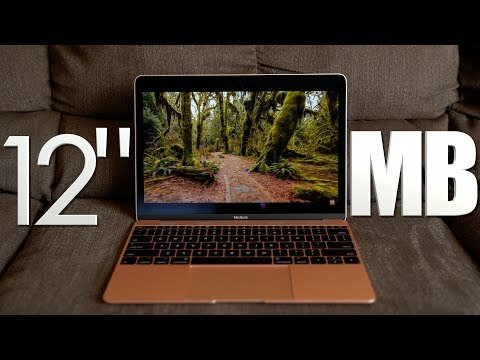 The performance comparison to the 2016 Macbook is very helpful. Many thanks. That by itself makes a perfect review -- only missing perhaps is a comparison of the 2017 1.2GHz to 2017 1.3GHz models. The comparison of the Macbook to the Macbook Pro is, in my view, confused. If power matters, and portability does not, then buy yourself a Mac Pro or top end iMac. The Macbook Pro may have extra ports, larger screen etc, but aside from weight, it loses out on its chunky square design which is frankly ergonomically inferior to the far superior wedge shaped Macbook and Macbook Air designs, both of which are a pleasure to rest your wrists on. Interesting exhibition of ignorance. I use mine more than my iPad mini or my iMac. Bought it right after the mbpro announcement of last year and cannot be happier of what I have. Is useful in bed, airplane, even airport. Weight is limited, screen is gorgeous, covers my limited needs for photo or movie or music editing. Usually does not gets hot. what else? Tried to buy an external wifi hdisk for it. No way. All crap. Returned to sender. Using a wired USB 3 disk for storage, then. It's a beautiful machine, I was strongly tempted to get one. But the form over function aspects such as just the one USB C port and lack of MagSafe were deal breakers for me personally. Sounds like you are a little confused on your requirements. If you need more ports, and need to keep your laptop hooked to a charger because you're using a lot of juice, then why would you even bother looking at the MacBook? The point of the MacBook is ultraportability; i.e., enough battery to keep you going all day without plugging in to charge, and no or very little need to plug anything else into it since everything else can be done wirelessly. The charge of "form over function" against the MacBook is a false one. I'm in the market for an ultra portable, the MacBook Air is simply no longer a viable option as its not had a proper update in years. Yes, I expect decent battery life and will use it. On occasion I'll also want to plug certain items in as not everything is wonderful over wifi, external storage for example. I've been saved a few times over the years by MagSafe and am amazed they dropped it, form over function. I appreciate skating to where the puck will be as opposed to where it is now, but at the same time just a single port is ridiculous. As I stated, it's a beautiful machine, just not for me. If you disagree that's your right. "The IPad Pro and MacBook will eventually converge to meet the needs of the ultra portable and 'standard everyday' users"
Yes, they currently serve 2 different sets of functions. But, while the MacBook will never get a touch screen, Apple is inching steadily forward to provide the IPad Pro with the resources to enable it to also perform what has traditionally been the realm of the MacBook. I thought he was clear: it's a beautiful form, but not enough function to meet his needs.